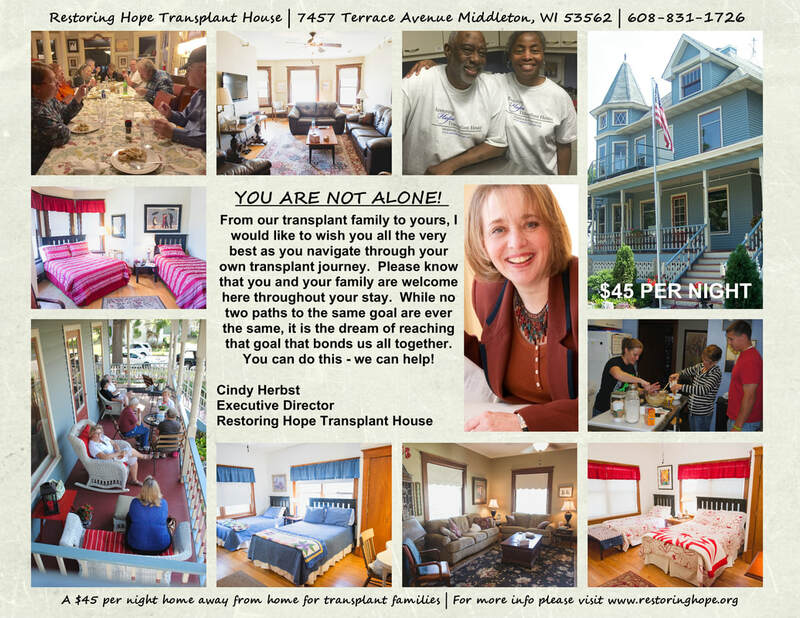 Thank you for your interest in staying at Restoring Hope Transplant House. 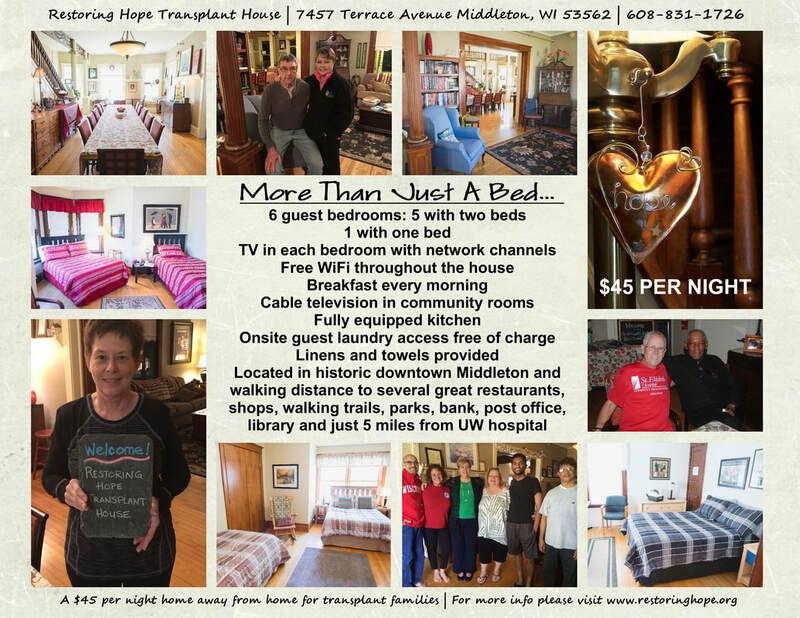 We currently have 6 newly renovated and redecorated guest rooms available for transplant patients and caregivers who are staying in the Madison area while receiving life-saving care at nearby University of Wisconsin Hospital and the Williams S. Middleton Memorial Veterans Hospital. Am I Eligible to Stay at RHTH? All UW Hospital transplant guests please consult with Guest Services if you are interested in staying at RHTH. You MUST be referred by the UW transplant program in order to stay at RHTH for your FIRST stay. We cannot take your reservations directly. After you have stayed with us once, you can then contact us directly for all future visits. All VA Hospital transplant guests will have their reservations at RHTH made by the VA staff. If UW Guest Services or VA coordinators refer you to stay at RHTH, we will receive a fax alerting us about you and your upcoming stay that includes the names of all guests and dates of stay. When that fax arrives we will contact you to confirm your stay. Once you arrive at RHTH we will have your registration information ready for check-in awaiting your signature. A room will be assigned to you and you will be free to enjoy your stay. What are the Current Rates at RHTH? Guest rooms are currently $45/night. There is an additional $30 cleaning/utilities fee after a stay of 5 days that can be paid at the end of your stay. What Makes RHTH a Home Away from Home? 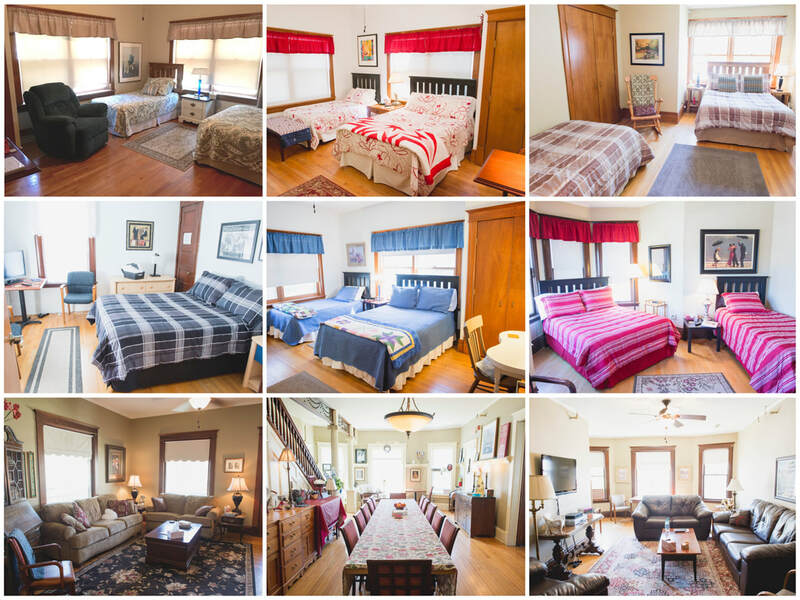 6 spacious guest rooms, each with a double and twin bed. Television in each bedroom with regular over the air network channels. Closet space with hangers, tables, chairs, mirrors, reading lights, dry erase board, linen, towels, cleaning supplies, etc. Spacious community rooms with big screen TV's that have Charter Cable. Free wi-fi internet access throughout the house for guests that bring laptops/tablets. 5 bathrooms, 3 with showers. 1 handicapped bathroom/shower. Culligan filtered water available on 1st and 2nd floor. On-site laundry. Guests are responsible for doing their own laundry and room cleaning. Fully-equipped community kitchen that allows guests to prepare their own meals just like at home. Donated supply of books, games and transplant related reading material. What Should I Bring During My Stay? Laptop or tablet for personal use. Laundry and shower supplies as only a very limited amount of donated supplies are available. Slippers as many of the rooms feature original hardwood floors. Food and beverages. A full kitchen is available as is pantry and refrigerator space. Guests are responsible for their own meals and cleanup. Please, no alcoholic beverages at any time! A smile and the understanding that transplant patients and caregivers need your support and patience at this time. Any other comforts of home.